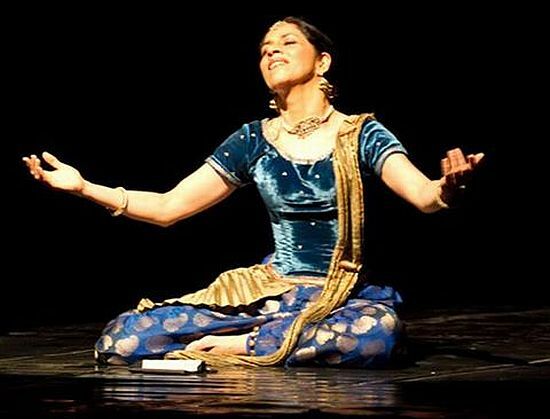 Aditi Mangaldas is one of the biggest names in Kathak today and needs no introduction to Indian dance enthusiasts. Known for her virtuosity and innovative choreography which takes a strong foundation in classical dance and blends it with a contemporary sensibility, combined with a refined aesthetic sense for stage and costume design, her productions have received critical acclaim across the world. The upcoming premiere of ‘Within’ has managed to generate much attention already, not only in the Indian press, but also on social media sites. The dancer’s Facebook page and Twitter stream are updated daily with interesting facts and quotes on the production. When a PR agency contacted Sacred Space with details of the premiere and the offer of an interview, it became clear why there has been so much publicity. Aditi Mangaldas’ professional approach seems to extend to all aspects of putting together and presenting a new production, including hiring an agency to take care of publicity. The vital role of social media in diffusing information is also being tapped into, as well as the dance blogosphere. 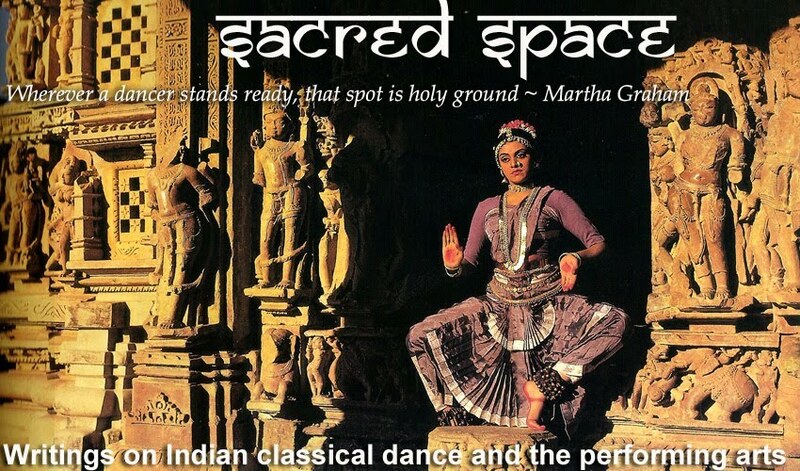 We jumped at the opportunity to publish a short interview with Aditi Mangaldas, and with her name being one of the top search terms on Sacred Space, we’re sure many of our readers will appreciate this glimpse into her latest creative work. Your work often addresses philosophical questions with the themes of ‘time’ and ‘searching’ being recurrent. What was the inspiration for ‘Within’? This is different from my other works although it also explores questions of time and space and the search for something. It is a question of looking within and what doors we open from within. Actually a lot of events which happened last year brought brutality in sharp focus and it was something we started on by working on mythological themes in the context of social issues. There are horrendous and brutal things you see in the newspaper every day – mythology and social events have become a subterranean stream that feeds this piece, so ‘Within’ is now more about our core and looking within oneself. India’s population is really young and we have this great legacy of an amazing classical art. Each artist has to be aware that times are changing. So we have to invite a younger audience into our auditorium and need to engage them and challenge them so that they go back with something that resonates with them and they also feel that this is something they wouldn’t have got by sitting at home accessing the Internet. ‘Within’ is an international collaboration with Italian designers and Japanese costume designers and stage designers. The music composers are from India. So it is a combination of very wide variety of rich experiences. Is ‘Within’ a work of classical or contemporary Kathak? How do you define contemporary Kathak? 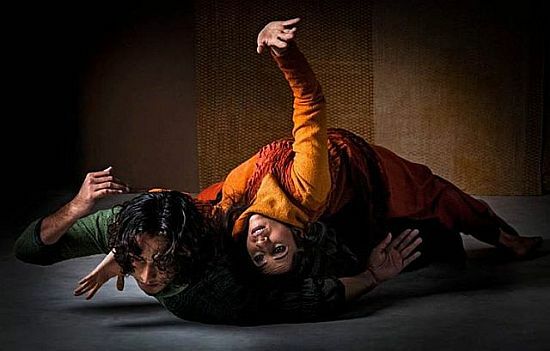 ‘Within’ is composed of two parts: the first part is ‘Knotted’, a contemporary dance piece based on Kathak and the second part is ‘Unwrapped’ based on classical Kathak. So it’s both classical and contemporary Kathak. 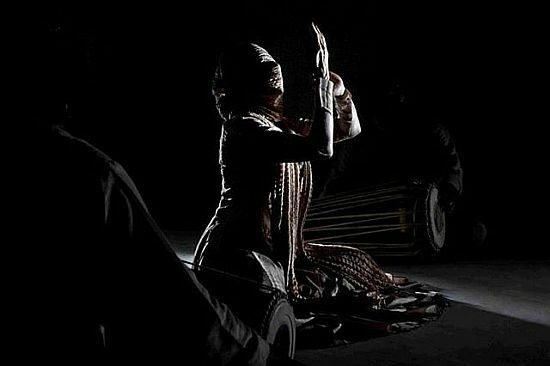 Contemporary Kathak is like taking a seed of Kathak and sowing it and watering it with contemporary sensibilities, so what happens is the plant that grows out of it has the roots of Kathak but may not have all its characteristics. Tell us about your training schedule and what a typical day is like for you. We have been immersed in the production completely, not just me but also all the dancers and the collaborators who have been working very hard for months. Our daily schedule is generally that we have an hour of yoga in the morning, say from 11am-12pm and then from 12pm until 5:30pm we have rehearsals with a one-hour break in between. I generally go to the gym in the evenings for about an hour, four times a week. The rest of the time I’m having discussions with our lighting designers, mentor, stage designers and all the dancers and constantly trying to improve and oversee all the details of the project. Where will ‘Within’ be performed next? Currently there are three performances scheduled at the Kamani Auditorium on September 13th, 14th and 15th but we are hoping to take it to festivals all over India and abroad. having studied with none other than Kumudini Lakhia and Birju Maharaj – two residing legends in the Kathak world, Aditi Mangaldas just isn't afraid to explore dance choreography with a up to date eye.